CISA is one of the prestigious certifications is the global market. Considering INFORMATION as one of the important assets, IS Audit aims at ensuring IS internal control standard, Governance, Security standards, Operational Standards and overall service standards at the international acceptable level. Bangladesh bank has defined ICT Risk as the 6th core risk which mandates auditing on it. So, all financial institutions and commercial banks are requiring IT audit functions. Telecom industry is another area where IT & engineering audits plays an extended role for corporate governance. IT Audit functions are going to be an integrated part of other business areas by next few years. Achieving CISA accreditation will definitely create a unique opportunity. After completing this course, participants will be confident enough to sit for the CISA exam. Certified Information Systems Auditor (CISA) is a professional certification for Information Technology Audit professionals sponsored by ISACA, formerly the Information Systems Audit and Control Association. Candidates for the certification must meet requirements set by ISACA on educational qualification and professional experience. The first CISA examination was administered in 1981, and registration numbers have grown each year. It is one of the few certifications formally approved by the US Department of Defense in their Information Assurance Technical category. In 2009, SC Magazine named the CISA designation winner of the Best Professional Certification Program. In 2011, the CISA examination underwent its most significant update in a decade. 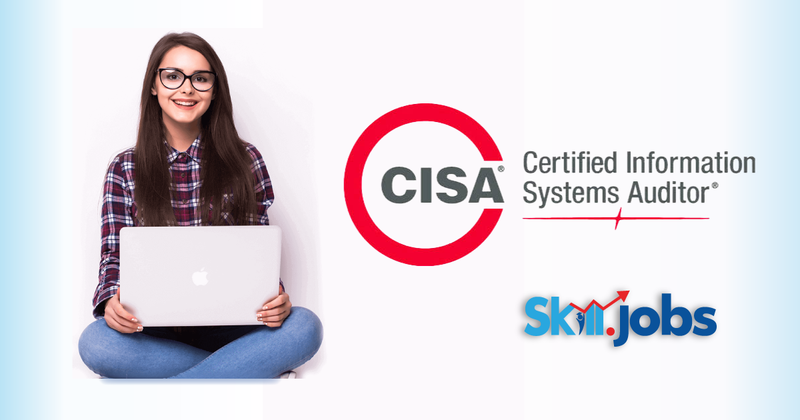 The exam was revised from 6 domains to 5 and this course has been designed to help the CISA candidates to make them ready for achieving this global recognition.